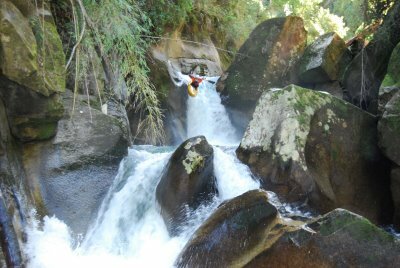 The Rio Nevado is one of Pucon’s classic steep creek runs. The river cascades off the Picos del Caburgua (1952 meters) and forms one of the upper tributaries of the Liucura. The run is just outside of the border of the beautiful National Park Huerquehue. Once again it was local Robbie Dastin who sleuthed this one out. In early December 2004 Robbie and I spent a day on foot bashing our way into this bamboo infested canyon hoping to get glimpses of what lies within. Cut and bleeding we returned the next day with Daniel de LaVergne, Nate Elliot, Polk Deters (it was Polk’s birthday), Riley ?, and Toby McDerrmot to complete the first descent. The river can only be run in late spring and early summer after significant rain or snowmelt. Ideal time is usually late november and December. The run is approximately 2 KM long and drops from 600 meters to 475 for an average of 62.5 m/km or 315 FPM. The river has a low volume steep-creek feel with a little bit of everything including a classic Califonia style slide, waterfalls, and dozens of steep technical drops. The river can be run at low and medium flows but would be suicidal at high flows. To reach the put in leave Pucon and head east towards Argentina. After you cross the bridge over the Turbio stay straight and do not take turn on the international road to Argentina. You will be on the road to Lago Caburgua. After 7 KM turn right on the now paved road towards Huife. In approximately 13 KM you twill signs for a turn to left to Parque Huerquehue or Tres Saltos. Do not turn here but continue 1 KM more to huife and take the next left following signs to Lefincul (if you reach termas de Quimey-Co you have gone to far so return and make the next turn). You will cross a bridge over the Lefuncul/Liucura river. Stay straight and you wills tart up the Nevado drainage. Park just before the road starts to get real steep. you will not see the river at this point but when you climb out later you will find your vehicle. From the way to the put in is obvious. Go up the incredibly steep dirt road approx 2 km until it crosses the the bridge over the Nevado. You can park a 100 meters on the other side of the bridge as it begins its first switchback. 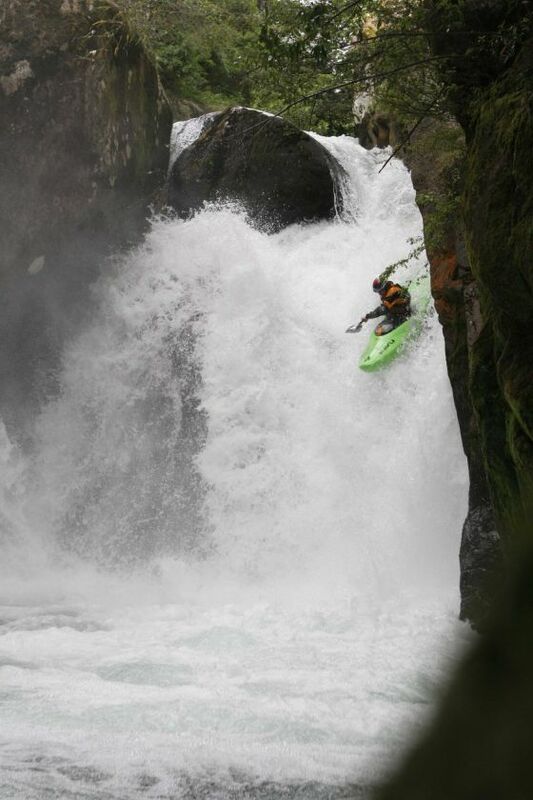 The put in is just upstream of the bridge and offers an adrenaline packed jump start to the intimidating canyon below. The run is full contact class 5+ boating so bring your elbow pads, your rope and your A game. 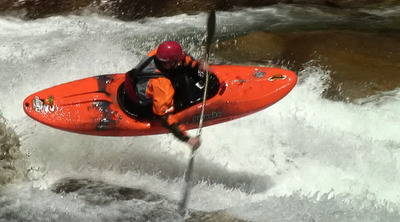 The first canyon has about 6 difficult rapids including one difficult portage. After the frist canyon there are some boulder drops which eventually lead into the california style slide which feeds into a 6 meter falls. The base of the falls is a narrow canyon that feeds into another rapid which I recall can not be scouted? Be careful is this section as I have seen a hole force people to swim when the creek had water. After this it is a blur of rapids including a mandatory 7 meter falls.